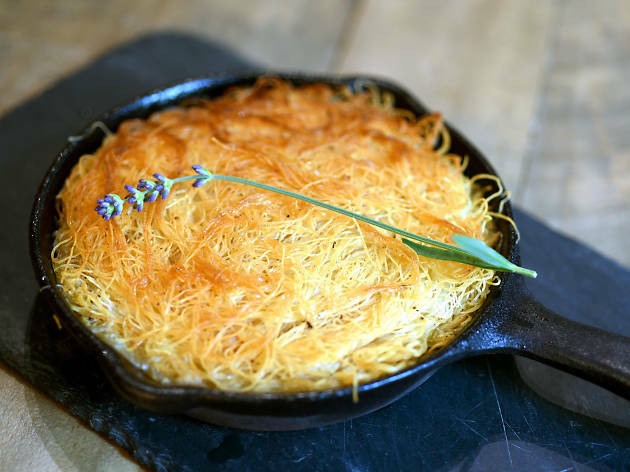 Middle Eastern food is finally having its moment in NYC and I’m here for it. 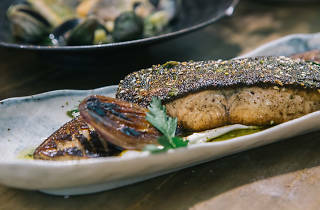 Employing tangy yogurt, fragrant spices, zippy chilies and heaps of fresh herbs to build layers of flavors in complex dishes, it’s a cuisine that deserves to be celebrated, especially in New York. 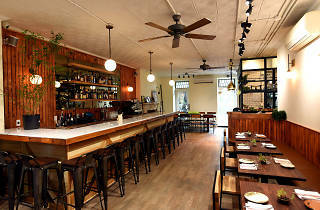 Miss Ada is at the forefront of this wave, serving some of the best Israeli cuisine on this side of the Atlantic in Brooklyn. No, Miss Ada isn’t the name of some chef’s grade-school teacher. Rather, it’s a playful twist on the phonetic pronunciation of misada, the Hebrew word for "restaurant." 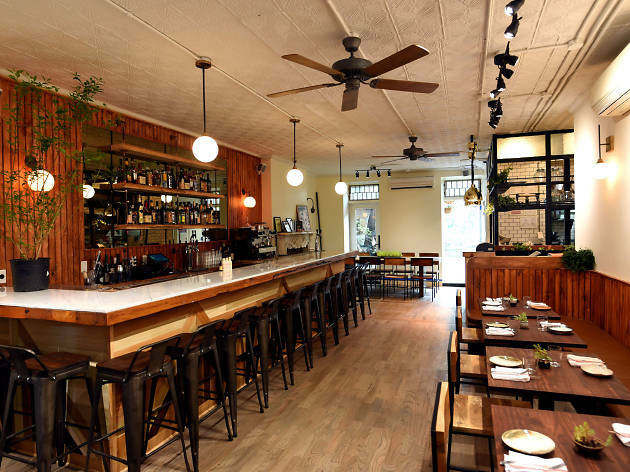 Located at the edge of Fort Greene Park, the cozy eatery feels like you’re eating at your Softa’s with pinewood banquettes and ample house plants, all surrounding the petit open kitchen where you’ll find chef/owner Tomer Blechman (Bar Bolonat, Gramercy Tavern) in command. On the weekends, Brooklyn dwellers flock for Blechman’s brunch offerings, including a wide range of heavenly Yemenite pastries. At night, the lights dim leaving candles illuminate the intimate space as nostalgic pop tunes play in the background. 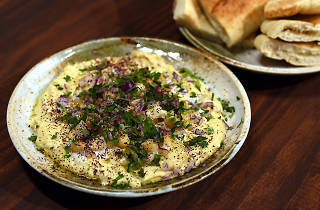 The cuisine is so much more than hummus and shawarma, but here you’ll find the best versions of all three. A verdant platter of herb-dyed green falafel is as as crisp on the outside as it is tender on the inside. 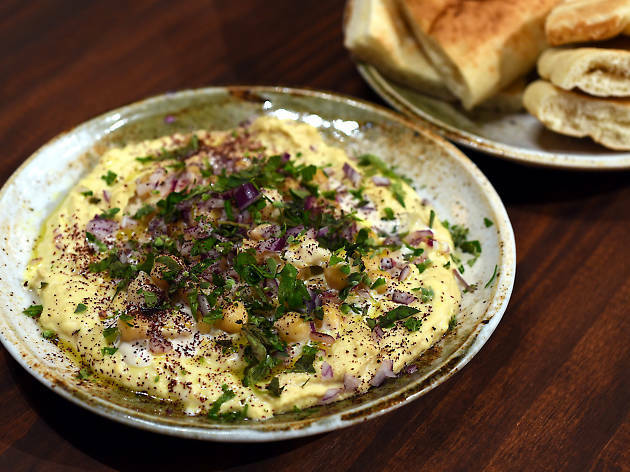 The warm hummus masabaha topped with unctuous lamb shawarma is nothing short of a religious experience, especially when paired alongside their fluffy pita for scraping the plate clean. 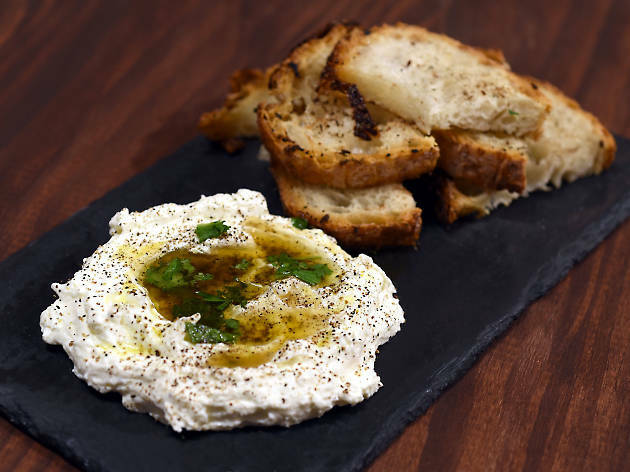 The dipping continues with a bowl of silky whipped ricotta doused in brown butter and honey, which may be the most comforting thing you eat this year. 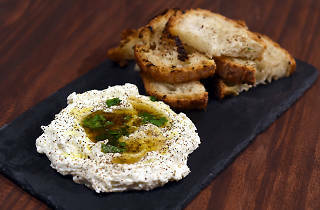 While the mezze pack a punch in the beginning of your meal, the mains keep up the momentum. 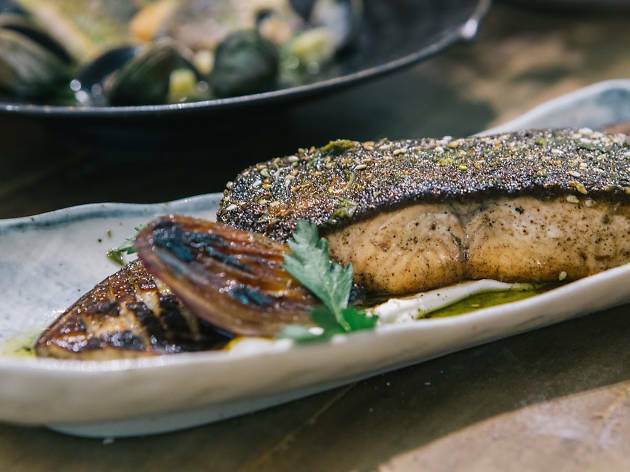 A perfectly medium filet of salmon crusted in za’atar enhances the delicate fish with the perfume of this warm and comforting Middle Eastern spice blend of oregano and sesame. The hanger steak, singing with a zip of harissa will first, remind you how a steak should properly be cooked, and second, show you a gorgeous new preparation that will have asking for yet another plate of pita to sop up its juices. 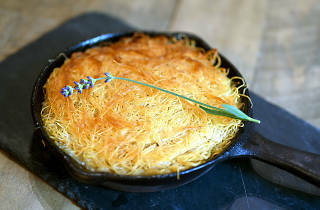 Light and modern desserts like a whipped labne mousse or kanafe soaked in a lavender-tinted sugar syrup will assure you that yes, the meal you just inhaled was indeed flawless. What else can I say, everything about Miss Ada Israeli good.